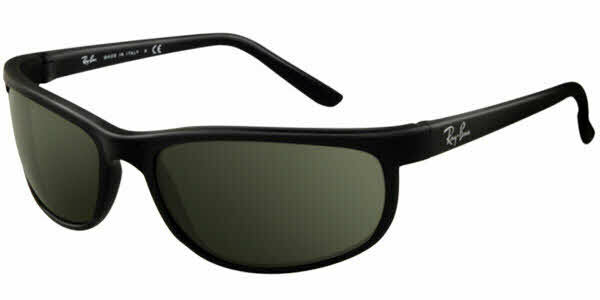 Ray-Ban RB2027 Predator 2 Wrap Sunglasses are the last word in masculine cool. Modern and sporty, these versatile sunglasses manage to be athletic and edgy at the same time. Made from hypoallergenic Propionate Nylon. Lightweight and durable, these wrap sunglasses are made to be strong, flexible. and resistant to warm weather. The famous Men in Black sunglasses - as seen on Will Smith and Tommy Lee Jones. This is the 3rd pair of RayBan Predator Wrap I have owned (lost the 2 prior pairs). I keep coming back as the fit and function is exception for all occasions. I highly endorse them for any one on the go. Good for driving, the beach, sports (golf) and you will be styling! Ray Ban fit me great, practically and style wise. Frames Direct has great service and prices. Great fit for those with high cheekbones due to the narrow lens style. High quality made in Italy. My favorite pair of Ray-Bans, they pull together my otherwise in-congruent features. They fit very comfortable and make you feel confident . You make people think about Arnie saying, "I'LL BE BACK !" Another great buying experience from Frames Direct for a great Ray Ban product. Much less expense from Frames Direct than from Ray Ban, your local store , or other internet sellers. Fast courteous service, great communications from Frames Direct, for what I still think are the best sunglasses ever made. I will continue to buy from Frames Direct for all my future eyewear needs.